A revitalized, restored vacation destination once again lures travelers to its markets, beaches and bullfights. The mood in the Plaza de Toros, hot in the afternoon sun, crackled like popcorn. Suntanned cowboys in big-brimmed hats spotted distant friends and waved. Pretty girls passed out red roses to people holding preferred “shade seat” tickets while vendors hawking beer worked the crowd. Ladies spread sunscreen on their arms and strangers compared notes on the afternoon’s event, the Carnaval Week bullfight. Bullfights, a weekly winter sport here in Mazatlan, on Mexico’s Pacific Coast, run from Christmas through April. But the bullfight held during Carnaval week, featuring world-famous “rejoneador” Pablo Hermoso de Mendoza, is the highlight of the season, and it packs the arena. Challenging the bull, the charismatic Hermoso and his string of horses — he travels with six trained Lusitanos — are superstars, leaping, dancing and spinning, melding the crowd into a cheering, gasping, groaning, clapping, handkerchief-waving mass. While we waited for the first bull to enter the ring, I overheard a conversation behind me, a couple discussing the anticipated return of the cruise ships to the new terminal, and plans for their new house overlooking the beach. Another family moving to Mexico, I wondered? Immigrants heading south, instead of Mexicans coming north? A classic beach retreat since Hollywood celebrities discovered it in the 1940s, Mazatlan has been an outcast of late, smeared by the same headlines that paint most of Mexico as crime-ridden and unsafe. But this couple seemed to be ignoring conventional wisdom. Right about then, the crowd broke into cheers and Hermoso cantered into the ring mounted on a white stallion. Whether or not you condone bullfighting, it’s impossible not to watch Hermoso as he gets down to business, teasing the bull until it charges, then wheeling away, leaning and turning, whirling and circling the ring with the angry bull in pursuit, staying just inches away from those two long horns. Finally dispatching the bull, Hermoso took a victory lap and the ladies tossed red roses. The fight committee awarded prizes and the crowd collected their hats and cushions and filed peaceably away. The Klops, when they do move, won’t be outliers but part of a settled expat community, full- and part-time residents who contribute time, energy and ideas to the town. Drug cartel murders are a fact, he conceded, and violence is the federal government’s most pressing internal security issue, he said. But most violence occurs in the mountains or along the U.S. border, far from Mazatlan’s Golden Zone, the tourist district along the beach. The U. S. State Department, in fact, suggests that U.S. citizens exercise caution in Mazatlan, particularly late at night and early in the morning, and limit their travel to the Golden Zone and the historic town center. “There isn’t any crime in the Golden Zone, not that we’ve heard about,” said Paul Petty, who’s spent most of the past 12 years here in town. At last things are turning around, promising Mazatlan’s best year for tourism in a decade. Visitor numbers have been climbing and hotels and restaurants have invested in better facilities and more security. More than $6 million in state and local funds has been allocated for tourists coming from the United States and Canada, says Carlos Berdegue, president and CEO of Mazatlan’s four El Cid hotels. “Our group and convention programs have been very successful, the cruise lines are returning and the airlines are looking at creating more capacity,” he said. 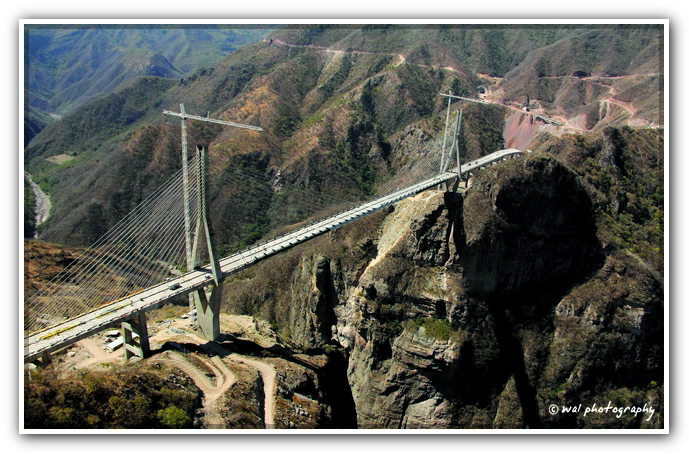 The highway Durango-Mazatlán, it is ready for full opening on October 17th, reported sub infrastructure secretary of the Secretariat of Communications and Transportation (SCT), Raúl Murrieta Cummings, and Governor Jorge Herrera Caldera, during a monitoring this work. Will be opened by Enrique Peña Nieto at Km 122 +200 in Coscomate booth, where for days, SCT staff and state of Durango and Sinaloa monitor so that everything is ready. Americans who live abroad at least 330 days of the year will be treated as if they have qualifying insurance coverage and won’t owe any tax penalty, according to the Internal Revenue Service. That’s true regardless of whether the U.S. citizen actually has health insurance in the country where he or she lives. The IRS reasons that it would be unfair to force Americans living abroad to buy a policy on one of the new health-insurance exchanges that opened Tuesday, because most domestic policies don’t cover anything more than emergency care overseas. This IRS document has more information (see #12 for the information on U.S. citizens abroad). There are a few other cases where people are exempted from the insurance mandate. These include federally recognized Indian tribe members, prisoners and some religious groups whose beliefs might contradict the law’s requirements. States can also provide hardship exemptions to individuals or families. Also, if someone loses coverage–say, by being laid off from a job that included health insurance–the penalty doesn’t kick in right away. Consumers will have a three-month grace period to get new coverage. And the IRS has determined that as long as consumers have insurance for at least one day of a month, they will have satisfied the law’s requirements for that month. For those who don’t fit any of these exemptions and end up paying a penalty for lacking coverage, the burden will quickly rise after 2014. This post has the details. … Mazatlan was the first city in America and the second city in the world, after Tripoli, Libya, to suffer aerial bombardment? During the Mexican Revolution of 1910–17 General Venustiano Carranza (later president), intent on taking the city of Mazatlan, ordered a biplane to drop a crude bomb of nails and dynamite wrapped in leather on the target of Neveria Hill adjacent to the downtown area of Mazatlan. The crude bomb landed off target on the city streets of Mazatlan, killing two citizens and wounding several others. Mazatlan is a city with stories to tell. More than 150,000 Americans safely visit Mexico every day. And while the media sensationalizes stories of violence in Mexico, Mexico is safer than many major U.S. cities. Travelers feel relatively safe visiting popular U.S. cities like Miami, Philadelphia, Chicago, New Orleans, Washington D.C, or Atlanta. Visitors from around the world enjoy these vibrant cities in relative, reasonable safety. Yet each of these cities is statistically less safe than Mexico. Mexico and politically charged Media Bias. In the debate on immigration reform in the US, the facts on safety in Mexico have become a casualty of politics. To change public opinion and policy, politicians sometimes throw fuel on the fire. If you make up an exciting story about "severed heads in the desert", it gets a lot of attention and people believe it. The governor of Arizona admitted this story was baseless, but only after months of damage was successfully inflicted to the image of Mexico. The homicide rates above are facts from the FBI, not political fabrications. New Orleans is beloved and its renaissance is showcased in the news. The FBI reports the murder rate of New Orleans is declining, but it is nearly 4 times higher than all of Mexico and over 5 times higher than Mexico City. New Orleans is still an amazing place to visit and the Media is right to champion this inspirational city. But Mexico is at least as remarkable and there is a clear difference in how each of these storied destinations is portrayed in contemporary news. Every city and country has places that are safe and dangerous. Mexico is no exception. The areas that are dangerous should be avoided. And those that are safe should be enjoyed and celebrated. Visit:http://howsafeismexico.com/6.html For More Information & Facts…………..
…The Mazatlan Municipal Market, designed and built in 1899 by the French engineer Alejandro Loubet, was built of iron and steel based on the Art Nouveau styleand using the same techniques that were used seven years before on the construction of the Eiffel Tower? 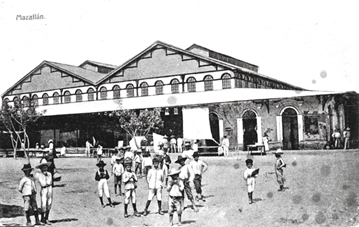 …El Mercado Municipal de Mazatlán, diseñado y construido en 1899 por el Ingeniero francés Alejandro Loubet, fue construido en hierro y acero basado en el estilo Art Nouveau y utilizando las mismas técnicas que 7 años antes se emplearon en la construcción de la Torre Eiffel? 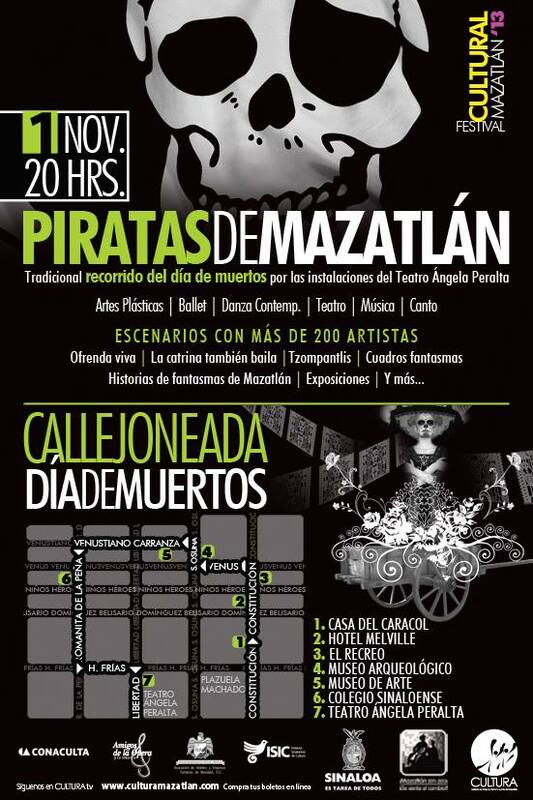 Come to Mazatlan and meet this and more interesting places in the harbor. Ven a Mazatlán y conoce éste y más lugares interesantes del puerto. Black cats were once believed to be witch's familiars who protected their powers.